Got hair problems? Well, don’t pity yourself. You’re just one of the many who also experience these for once or, much worse, the rest of their lives. 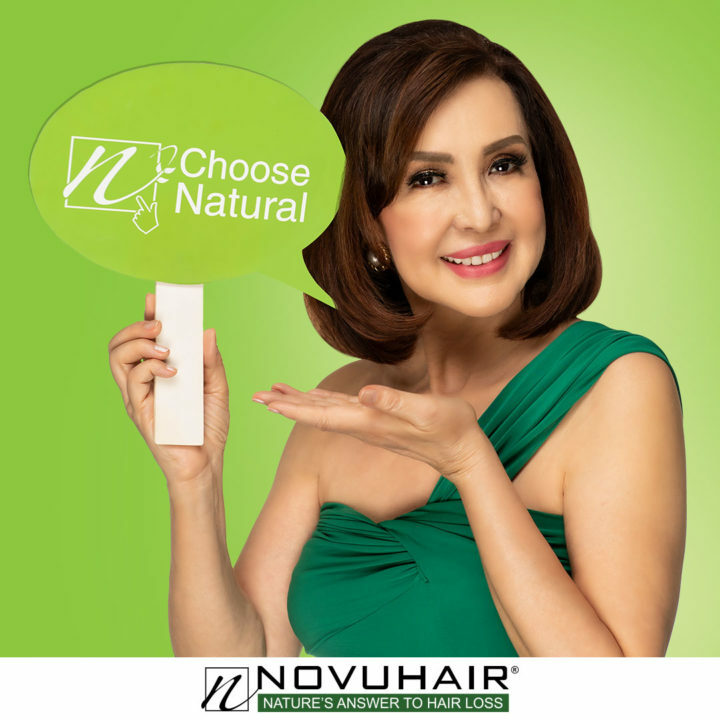 According to beauty and wellness expert, Cory Quirino, no matter how old you are and whatever your gender is, hair shedding is a natural occurrence. It happens to everyone, she adds. Despite this fact, however, you still tend to panic and stress yourself over these issues. So you end up using various products that promise to solve these problems in a quick way. Without due diligence, you have no idea that they contain harmful chemicals and substances that may worsen instead of addressing the condition of your mane. “Products concocted with artificial chemicals cannot provide long-term benefits. Some products give immediate results, but it is never long-lasting,” Cory enthuses. Furthermore, using chemical-heavy anti-hair loss products may result to side effects, such as difficulty in breathing and swelling of the hands and feet. Studies reveal that these may be caused by chemicals commonly used by some anti-hair loss products. So opt for natural products. They are healthy options due to milder formula that does not strip off the hair of its protective oils. Likewise, they are safe to use because they do not irritate the scalp. What’s more, they are suitable for people with sensitive skin. These are some of the reasons why Cory strongly recommends an all-natural anti-hair loss remedy called NOVUHAIR. This topical scalp lotion has 19 natural herbs, essential oils, and co-factor nutrients that work together to help remedy hair problems. It helps increase nutrients to the hair follicles to address hair shedding and dandruff. Moreover, this product gives one the benefit of feeling better, looking better, and living a relatively longer life. “Wellness is a choice. This is why the use of natural products is a must. There are hair treatment products in the market today that claim to be effective but their ingredients could contain chemicals that may prove harmful with long-term use,” Cory says. “You no longer have to be scared if you’re losing hair because there’s always hope in a formulation that has all the powerful herbs that can help you stimulate hair-growth and not just to make your hair thicker but to prevent hair loss, too. With NOVUHAIR topical scalp lotion, you can appreciate the worry-free benefits of using an all-natural product,” she continues. Better say “NO” to harmful chemical-laced haircare products now than feel sorry in the end. Natural is still the best way to a healthy tress. Choose natural!